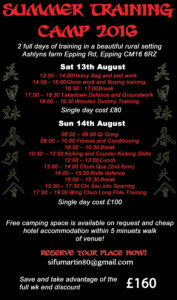 Nick Martin Sifu will be conducting a weekend Summer Training Camp. To download the full itinerary of subjects to be covered over the weekend click the title above. 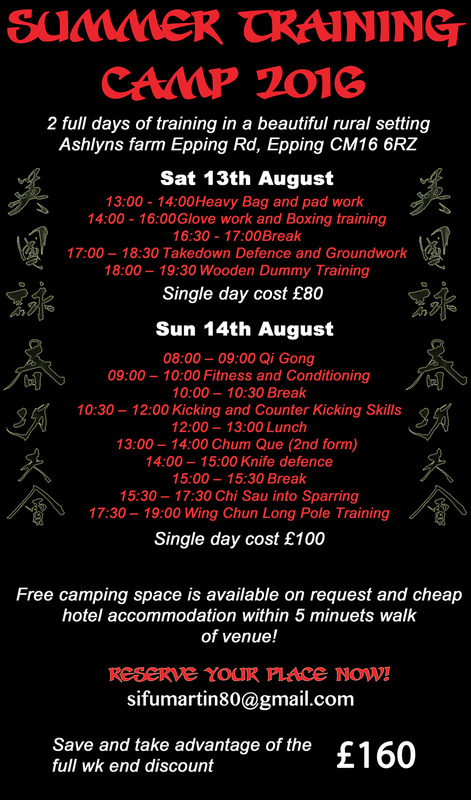 This is a great opportunity to immerse yourself in a full weekend of training and learn a tremendous amount to aid in your martial art journey. The camp is open to everyone regardless of ability and experience. Contact Nick on 07830 136501 for more details.